As revelations in leaked documents from Panama’s Mossack Fonseca law firm send shockwaves around the world, the threat to human rights represented by international tax abuse has been thrown into stark relief. 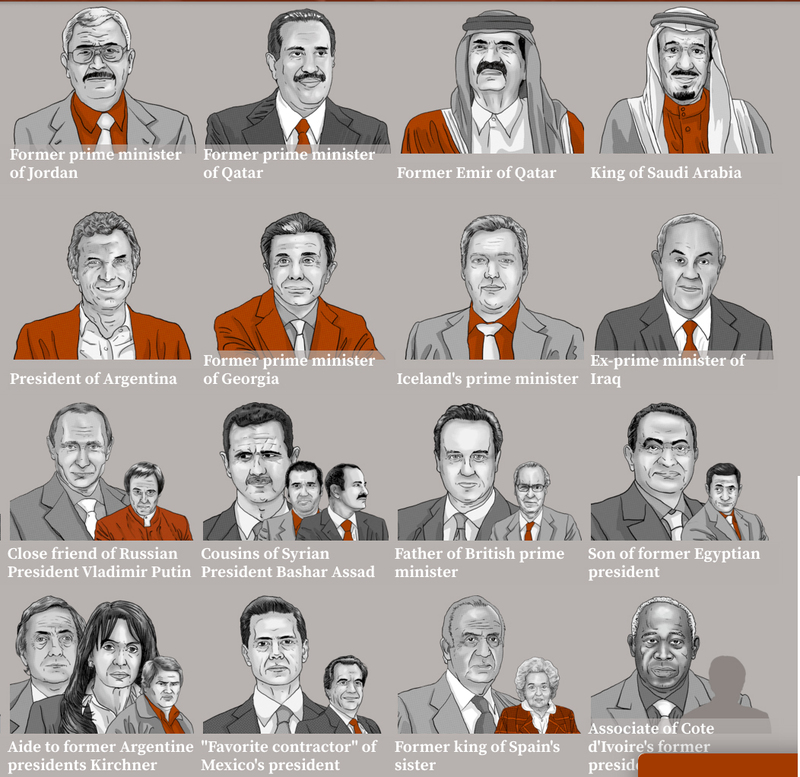 Dozens of political leaders from all corners of the globe have been implicated in large-scale tax evasion and avoidance through secrecy jurisdictions (tax havens), effectively robbing government coffers around the world of much-needed resources that might otherwise be used to fulfill the human rights of ordinary citizens. Those with the highest level of accountability for upholding human rights – including current and former heads of state - have been deeply embroiled in rigging the system to unfairly benefit themselves and those close to them. Not only are they shirking their fiscal obligations, they are breaching the fundamental human rights obligation of States to use the maximum of their available resources to fully realize economic and social rights for all – a duty enshrined in legally binding treaties to which they have all signed up. While it is impossible to give an exact figure for tax revenue lost globally due to wealth being hidden in offshore tax havens, Oxfam estimates the amount at some US $190 billion, a figure dwarfing total official development assistance by OECD countries (US $137.2 billion in 2014). The billions drained from the public purse cause chronic deprivations of economic and social rights, particularly in developing countries. In a recent briefing on Switzerland – arguably the world’s leading tax haven – CESR and its partners highlighted the impact of cross-border tax evasion facilitated by Swiss financial secrecy on women’s rights in countries such as Zambia. Our work has also highlighted the role tax abuse has played in fuelling the economic and social rights crisis in countries undergoing fiscal austerity, such as Egypt and Spain (both countries where former heads of state and their relatives are implicated in the Panama revelations). The scandal also highlights how today’s extreme and unprecedented levels of economic inequality are far from an accident or byproduct of the market, but a trend driven by the state-sanctioned practices brought to light in the Panama Papers. By subverting an international tax system whose rules they themselves help set, unaccountable politicians, multinational corporations and rich elites are able to consolidate wealth and political power, while the most disadvantaged people see their wages stagnate and the services they rely upon cut through painful austerity measures. Women are among those most negatively affected, and it is no coincidence that they are also under-represented in the list of figures named as benefiting from the Panama scheme. It is both a human rights and a development imperative that political leaders around the world take concrete steps to build a more transparent, accountable and equitable global taxation regime. While the recently-agreed Sustainable Development Goals and Financing for Development agreements did not include the concrete policy actions CESR and others called for to combat transnational tax abuse, UN member states did commit to significantly reduce illicit financial flows, to tackle inequality and to cooperate internationally in mobilizing revenues for development. The Panama revelations should galvanize governments into action around these commitments, including by agreeing to the automatic exchange of taxpayer information and adhering to standards on country-by-country reporting on corporate financial activity. A public registry of ultimate beneficial ownership of assets held in such jurisdictions should also be established. Governments should also dynamize civil society efforts to confront tax injustice using the principles and processes of human rights. CESR has been working with partners across the tax justice, development and human rights communities to shine a spotlight on the links between tax abuses and human rights violations, and to seek accountability for tax injustice through human rights mechanisms at the national, regional and international levels. The Panama Papers may prove a watershed moment for international tax justice. Human rights advocacy can provide new pathways for accountability and step up the momentum for change.